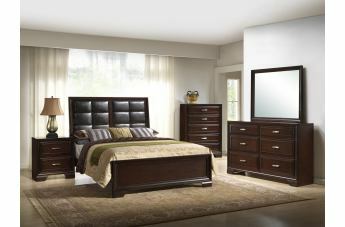 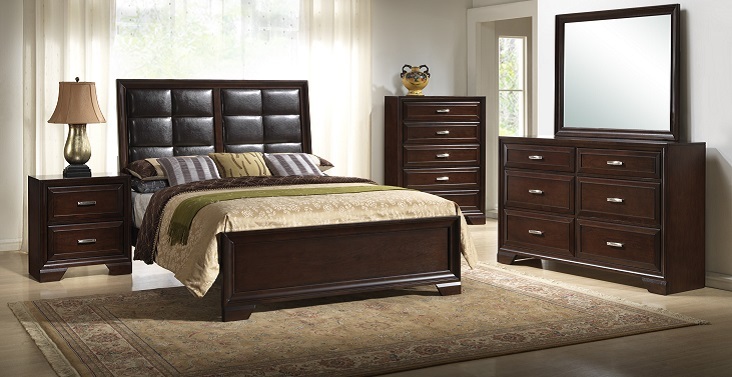 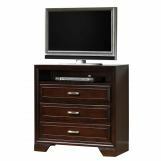 The contemporary styling of the Jacob Bedroom Collection presents a selection of casegoods constructed using 100% solid wood. 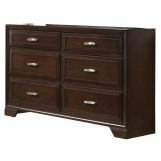 The tapered bar pull designed knobs in silver color standout next to the beautiful rich brown finish. 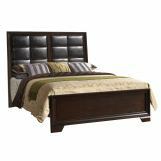 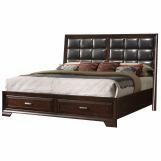 Upholstered framed panels of the headboard in tapered legs add visual appeal throughout. 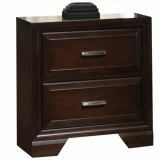 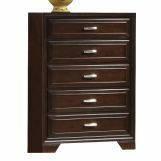 Case pieces feature quality construction, with raised drawer fronts in subtle moldings. 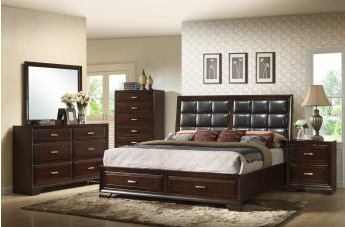 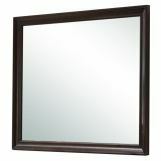 The modern Jacob Collection will complete your master suite and will make a welcome addition you can enjoy for years to come.